In the globalization era, there are no guarantees, but here is a likely 2018 trend: 3PL sector revenue will grow at a healthy pace. Photo credit: Shutterstock. Buoyed by the growth of domestic transportation management, the overall US market for third-party logistics is expected to have grown 5.1 percent in 2017. Leading the way, according to Evan Armstrong, president of logistics consulting company Armstrong & Associates, are domestic managed-transportation companies such as Penske, Ryder, Transplace, and freight brokerage firms such as C.H. Robinson and Coyote Logistics, which, when all business is tabulated, are expected to show growth in net revenue of 9.1 percent, up from 7 percent growth a year earlier. One factor behind these numbers is the tighter carrier capacity resulting from hurricanes Harvey, Irma, and Maria, when a great deal of transportation was required to handle emergency supplies. Armstrong expects capacity to stay fairly tight, leading to 9 to 10 percent growth in domestic transportation management in 2018. The Trump administration’s decision to withdraw the United States from the Trans-Pacific Partnership, however, will be a lost opportunity for many US shippers that export to Asia, and for the third-party logistics providers (3PLs) who manage their traffic with the remaining 11 nations in the TPP. Not surprisingly, the growth in e-commerce activity will continue to outpace expansion in other sectors, although it is still a small percentage of overall 3PL revenue. Although e-commerce-related 3PL revenue is still only about 5 percent of total 3PL revenue, it is expanding at an annual compound rate of 15.7 percent, much higher than the overall 3PL growth rate. Armstrong expects that trend to continue through 2020. Beyond that gap, 3PL customers will continue to raise their expectations and demands, according to Satish Jindel, president of SJ Consulting. The specialties of big data and analytics are probably going to be a basic need because of growing awareness that analyzing the growing blizzard of data enables end-users to draw actionable steps, he said. Further, because Amazon.com has become the gold standard for rating the quality of supply chains worldwide, consumers expect to get their products delivered within two or three days, said Matt Yearling, CEO of PINC Solutions, whose products include inventory robotics, finished vehicle logistics, and a cloud-based yard management system. “In the future, that will become less than two or three days. To be able to achieve that requires a careful orchestration of the supply chain,” he said. “The complexity of supply chains is increasing,” Jindel added. “It is evolving rapidly as part of the changes that have taken place” in electronic commerce. 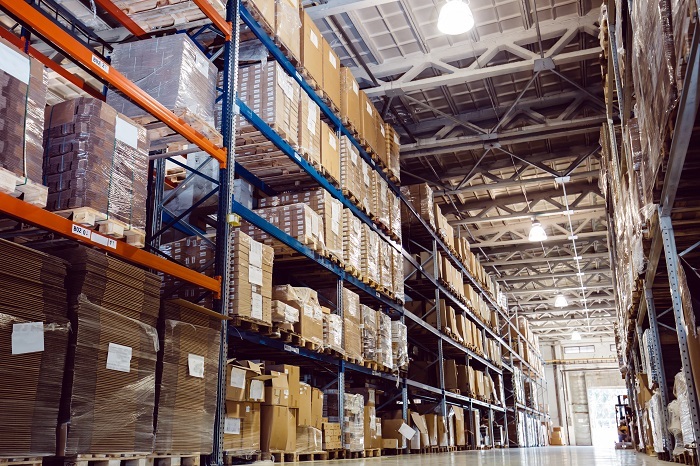 A year ago, Amazon’s volume of value-added warehousing space totaled 100.6 million square feet, including the volume used for distribution and merchandising. As of fall 2017, Amazon’s space amounted to 159.9 million square feet, Armstrong said. If all of that square footage was 3PL space, that would make Amazon the second-largest 3PL in terms of square footage, behind DHL Supply Chain. By comparison, XPO Logistics had 157.5 million square feet as of last fall, up from 151 million a year earlier. However, it is unclear from Amazon’s disclosures what percentage of the company’s 159.9 million square feet is involved in third-party logistics. Still, it is clear that Amazon is “growing like crazy,” Armstrong said. Moreover, this rapid growth is directly impacting the operations of 3PLs by driving up local labor rates and lease rates on warehouses. Thus, Armstrong said, the real effect of Amazon will continue to be more on the cost side of the equation — driving up labor rates and warehouse space rates — than on its impact on Amazon’s competitiveness with 3PLs in their traditional business activities. Beyond the emergence of big data and analytics, a growing number of digital start-ups — providing such innovations as digital marketplaces, the Internet of Things, drones, and industrial robots — are adding their weight to the growing pressure exerted on freight forwarders from various directions. George P. Hassapis, vice president of corporate strategy at Tokyo-based Nippon Express, said forwarders are facing pressure from three sides: from the asset-based giants, such as FedEx and UPS; from digital startups trying to leverage digital marketplaces; and from customers who are pressuring forwarders to extend traditional freight services beyond customary delivery destination thresholds, such as the installation of medical equipment or the in-home delivery and set up of consumer electronics. As of late last year, however, mergers and acquisitions were few and far between in the 3PL sector in 2017. Last January, NFI Industries acquired Dominion Warehousing & Distribution, a Canadian 3PL, GlobalTranz acquired Global Freight Source. In August, Quick International Courier acquired Unitrans, and Jordan Co. bought Odyssey Logistics & Technology. In the third quarter, C.H. Robinson acquired Milgram, a freight forwarder, customs brokerage and surface transportation firm in Canada. Finally, Freight Brokers International bought Consolidated Carriers in October. Contact Alan M. Field at alanfield0@gmail.com.